Some time last week I posted about a handful of 4″x6″ canvases I had purchased. I originally intended to make one large collage with all the canvases, but 15 canvases was just too much. This idea brewed a bit longer in my head and became much bigger. 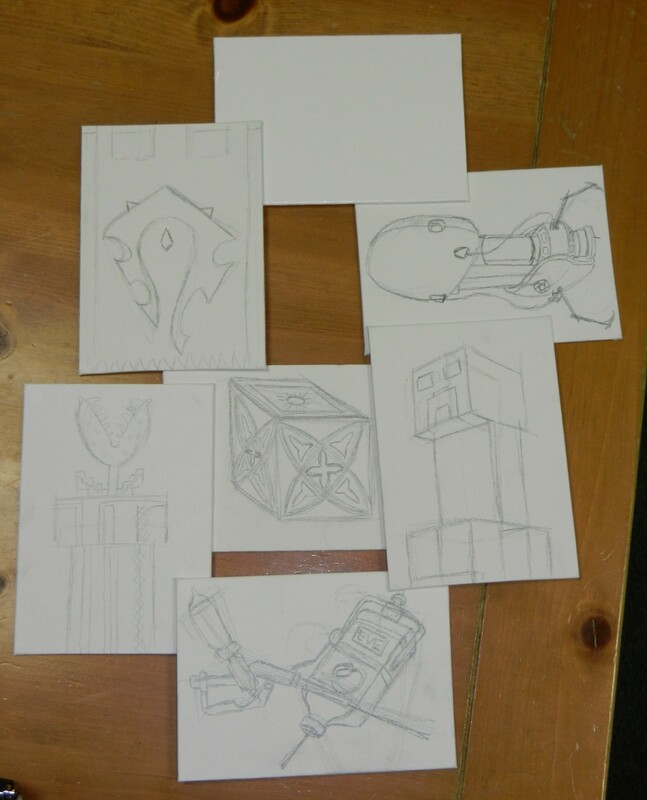 Obviously I have not painted yet, but all the images are sketched out. The D20 is actually painted, but it was upstairs when I took this picture. I can’t wait to start painting.